This Is A Loop Group. Human sounds that couldn't be had during filming are created. Think restaurant chatter, announcements in an airport, even the punches, kicks and bodyslams of characters in battle. Specially trained actors handle these varied and complex tasks. ...we're the only group ouside of LA on the west coast (as far as we can tell). Does your content need to travel down south to utilize a well-trained Loop Group? Not anymore. Does your project deserve generic stock, library sounds or an authentic, custom, immersive finish? We hope the latter. 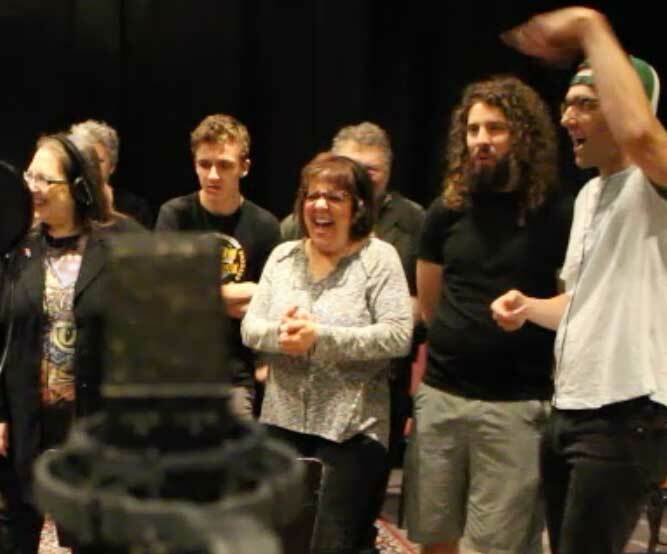 RebeLoopers are experienced improv, voiceover, stage and screen actors who continually hone their looping skills. All content creators and interested Actors are invited to watch a workout. Contact us for dates.